Glencoe House is a member of the exclusive Luxury Scotland network, a gateway to the very best of Scottish luxury accommodation. Members include some of the finest in Scotland and the world, such as Gleneagles and The Old Course in St Andrews. Luxury Scotland restricts membership to hotels that offer an outstanding and unique guest experience, luxury accommodation at an international level, and showcases Scotland at its very best. 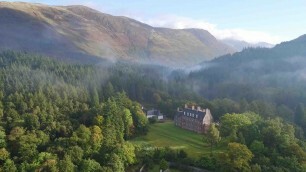 Please see here for Glencoe House Hotel’s representation on the Luxury Scotland website.